Welcome to Hunters Knowle Letting Agents. We are based in the wonderful village of Knowle, West Midlands, and are proud to be part of Hunters Property Group, one of the largest independent estate agency groups in the UK. The team in our Knowle branch look after the overall property management of our landlords. Our experience in the area allows us to provide an unmatched service to you - whether you’re looking for somewhere to rent, or to let a property out. There are lots of fantastic places to rent in the village of Knowle. We have plenty of flats, terraced houses, detached and semi-detached homes. Whatever it is you need, Knowle has got it. And there’s something for every budget too. It doesn’t matter if you need something basic, or are after a more luxurious property. We’re here to provide you with exactly what you need. Just tell our team about any requirements you have, and they’ll do their best to find you your perfect home. Hunters letting agents in Knowle have a lot of great properties to let. And we know that there is high demand from tenants, so we work extremely hard to ensure we match them with fantastic properties that meet their requirements. We also work closely with the area's big employers and relocation agents as well as professional individuals, retired couples and families. This means we constantly need new properties to add to our available list, so now is a great time for landlords to invest and expand their property portfolio. I would like to thank everyone at Hunters for looking after my interests over the last two years. It has been a great experience from a great team. Please pass on my gratitude to anyone not listed. I would also like to thank the land lord for her hospitality and wish the new tenants every happiness in this lovely property. Thank you so much for all your help, the Hunters team have been brilliant in getting this sorted. You really have offered me complete peace of mind. Thank you team Hunters! You've handled this all so seamlessly and professionally and I am grateful of your support, hardwork and expertise. Since we have been in contact with Hunters you the level of customer care has been at a level which we have never had before. Once again thank you. On a personal note, I would like to thank you for the high standard of professionalism and efficiency of service which you have provided throughout all my dealings with you. You set a high benchmark for other to follow. I just wanted to send you an email to say a massive thank you for getting our property rented out so quickly for me!! I really appreciate all the hard work and effort which you put in to get tenants in there so quickly for me!! You are a star!! May I just express also on behalf of my wife and I our gratitude for your assistance over the 10 years in taking care of our property. You have always treated us with great professionalism and kindness and we feel reassured that our property is well looked after by Hunters. We look forward to many more years of custom with you. Without wishing to be condescending in any way, as a Relocation Agent I see lots of inventories and I have to say that yours was one of the best ones that I have seen in a long time due to the amount of care and detail that had obviously been put into the preparation of the document. If only every Inventory Clerk took the same care. Bev, I am so happy that we know you, thanks as we trust you, like I mentioned - you have special skills and you realy look after your landlords. Jayne was exceedingly helpful, exceedingly pleasant and exceedingly efficient - a pleasure to talk to and a real credit to Hunter's. Please pass on to her my thanks and appreciation. It has been a pleasure dealing with Hunter's. I have found you, and the rest of the staff, to be very approachable and helpful, making it easy to resolve the few issues that arose during the tenancy. We are very happy the way things have gone for us. Very pleased with Hunters Lettings and especially Charlotte from the Lichfield office. We couldn't wish for a nicer and more helpful person - Whatever we ask about she is always willing to help us out and always gets back to us with the answers. Click to view preferred suppliers for Hunters Knowle Lettings (Midlands). 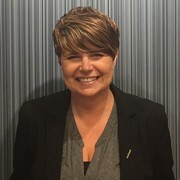 Becki has been a valuable member of the Hunters family since 2006 and has been in charge of the West Midlands lettings department since August 2007. Becki has loved seeing the department grow from strength to strength and in her years with Hunters she has used her wealth of knowledge and experience to assist over 500 landlords with their most important asset as well as offering advice on new investment opportunities. 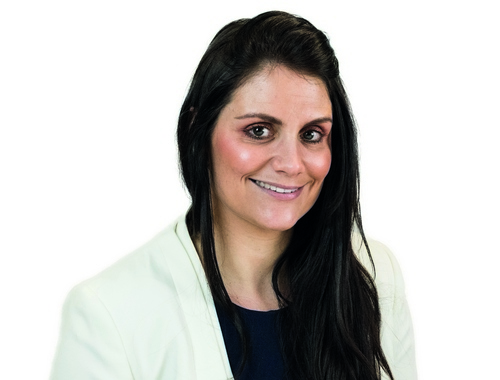 Becki now has team of 16 trained and experienced lettings specialists and has grown the West Midlands managed portfolio to over 500 properties. Becki has a real passion for property, lettings and most of all looking after landlords by ensuring they know as much as possible about the changing legislation. With such a responsible position and being a mum to two boys Becki doesn’t get much free time but she is a fitness fanatic with a love for boxing, running & new challenges. She also enjoys holidays, trips out and letting her hair down as much as possible. 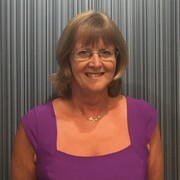 Lynn joined Hunters in 2012 working two days a week as an Accounts Assistant whilst helping with viewings and property maintenance during the rest of the week. 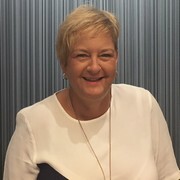 This varied position allowed her the opportunity to gain a good understanding of the lettings business and which has proved invaluable in being able to offer the level of service Hunters strive to provide to both landlords and tenants. At the beginning of 2018 Lynn was promoted to Lettings Manager of the Knowle and Solihull branches which allows her to use her knowledge whilst assisting landlords with their lettings requirements. In her spare time, Lynn enjoys European city breaks, going to the theatre and spending time with her grandchildren. Clare joined the Lettings team in Knowle in 2015 and being completely new to the industry she was initially employed as Lettings Assistant. Clare’s knowledge and understanding of residential lettings quickly grew and she is now one of the teams Lettings Negotiators. General duties include conducting the accompanied viewings, completing property visits and preparing detailed inventories before our tenants take occupation. When not busy at work Clare loves to escape to Cornwall with her family and test as many flavours of gin as possible. Jackie is the newest member of our Lettings Team, although she did work for our Knowle sales branch approximately 15 years ago. Jackie lives in Knowle so has a wealth of local knowledge which helps her to assist our tenants in finding a home which meets their requirements. As one of our Lettings Negotiators Jackie qualifies our tenants, completes accompanied viewings and agrees the terms of the let with our client. Outside of work Jackie loves spending time with her three children and socialising with friends. 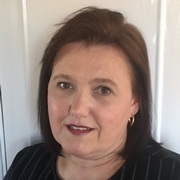 Having been with Hunters since April 2017 Tina has the very important responsibility of preparing and administrating all of our landlord agreements and tenancy documents amongst many other daily duties. Tina who was new to the industry and had to learn quickly says “I can honestly say that I thoroughly enjoy my role with Hunters and the fact that the work is so varied and fast paced. There is never a dull moment and I am lucky enough to share my day with a great team of people.” In her spare time she loves spending time with her two children who she describes as being her absolute world. Oksana has been employed as a Maintenance Co-ordinator since 2006 and has successfully resolved thousands of routine and emergency problems that have arisen during that time. She is a practical and experienced team member who is able to bring knowledge, reassurance and diplomacy to all circumstances. She says there is never a dull moment in Maintenance and she enjoys dealing with the unusual challenges that occur on a daily basis. She acknowledges that she must have been slightly mad to take on this job but loves being part of this friendly team. She lives locally and her passions are singing in the local choir and gardening. Judith has worked in the lettings industry since 2005 and has been a member of the Hunters team since 2007. 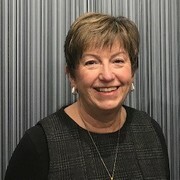 Judith works three day a week in the accounts department which follows a long working career in banking and then book-keeping where she first came into contact with the lettings industry. Judiths main responsibilities are ensuring rents are received from tenants and making payments of the same to our landlords. In her free time she loves to travel and spend as much time as possible with her three grandchildren. 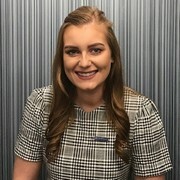 Former Cardiff University student Cathy joined Hunters in August 2018 after completing a degree in Politics and International Relations. 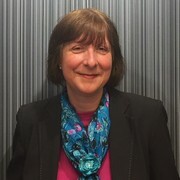 Cathy joined our team as Lettings Negotiator and she enjoys learning all aspects of the lettings business and helping tenants and landlords find and let properties. A keen skier and netball player, Cathy enjoys anything that involves socialising with her friends and her family. 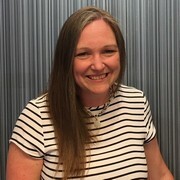 Kim has been a member of the lettings team for over ten years and she loves completing the viewings to ensure she finds tenants their dream home. 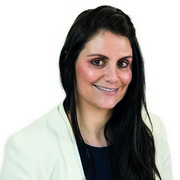 Kim has vast local knowledge and is always keen to assist new tenants with the process of renting a property. Outside of work Kim loves holidaying abroad when possible and spending time with her lovely granddaughters. Three miles east of Solihull you’ll find the beautiful village of Knowle a truly traditional village packed with local, independent shops, lots of greenery, and an amazing community spirit. Anyone looking to embrace the village lifestyle will find Knowle makes for a happy place to live. With a low crime rate and excellent schools, Arden Academy being one of the ones named the best state secondary schools in the UK, families feel very comfortable here. If the Hunters Knowle team choose to live in this humble village, we’re confident you will want to too. Knowle is a quiet place, loved by its residents but without much that would really put it on the map. It is located close to the Grand Union Canal, which connects Birmingham to London, and where you’ll find Knowle Locks. Other than that, it’s most appealing spots are the small, independent shops of all varieties you will find on its high-streets. The facilities in Knowle are aplenty - and they’re maintained at a very high standard.You’ll find beautiful parks and walking routes throughout the village. If you’re interested in joining a club or society, then there are a number of options. From tennis and squash tournaments, to the Local History Society and more standard social events, there’s sure to be something for you to get involved with. Many societies are shared with another nearby village - Dorridge. If you have kids, we’ve already talked about the excellent nature of the schools in Knowle. Few areas in the country can offer the level of education you’ll find here. And there’s lots of choice too - with five primary schools located around the area. Arden Academy, the main secondary school, is in the top 20% of schools in the country when it comes to Maths, English and Science GCSEs. Knowle is home to lots of restaurants and eateries, of a variety of styles. As in almost everywhere in the UK, you’ll find the typical Italian and Chinese specialists. But you’ll also come across some excellent seafood restaurants - which is surprising given the location. There’s something for every budget. Whether you fancy a full-on fine dining experience, or something a little more affordable. But one thing you absolutely must try is Smoode Shakes. A fantastic place that offers over 50 different flavours of milkshake. If you want to view any lettings properties in the Knowle or Midlands area that are currently available, you can contact your local Hunters Knowle Lettings team on 01564 779400.